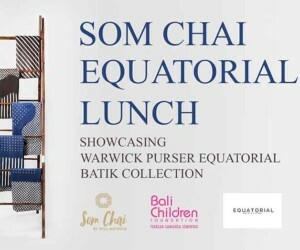 Som Chai Equatorial Lunch 15 Apr	Som Chai by Will Meyrick Jalan Raya Kerobokan 86/A	The event will show case Warwick Purser’s Equatorial batik collection with a share of proceeds from ticket sales, fashion sales and other activities going to Bali Children Foundation for the Food for Thought scholarships program. 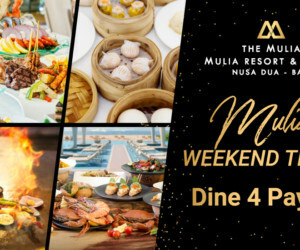 SPRING CELEBRATION DINNER AT MOZAIC 19 Apr	Mozaic Restaurant Jalan raya Sanggingan, Ubud - Bali	On Friday evening, 19th April 2019, Mozaic will present a special dinner to celebrate the coming of spring and its seasonal holidays. 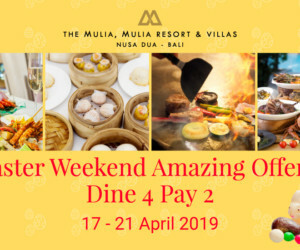 The tasting menu of 6 or 8 courses features luxury dishes such as Crispy Seared French Foie Gras with Morello Cherries, cocoa and candied rosemary; and coconut husk smoked Australian Wagyu Beef infused with Javanese Kluwek. Pasar Malam 19 Apr	Hyatt Regency Bali Jalan Danau Tamblingan No. 89	Indonesian style night market with buffet and Balinese entertainment. 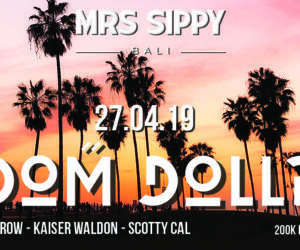 Mrs Sippy presents: Digitalism 21 Apr	Mrs Sippy Bali Mrs Sippy Bali Jl Taman Ganesha, Gang Gagak 8, Seminyak,	MRS SIPPY BALI is ready to invite you to be a part of our massive 2nd Anniversary celebration this coming Easter weekend! Party into your holiday in the sun with the electric vibes from our favourite German duo's tunes! Digitalism’s life story started in 2004 when Jens Moelle and Ismail "Isi" Tuefekci met at a Hamburg record store where they became partners afterward. Isi was a shopper at Underground Solution, a haven for specialist electronica, and Jens once worked there in the afternoons. The duo's ambitions were humble so when their edit of The White Stripes' 'Seven Nation Army' was released as a limited run, it was a big moment. The waves they were creating were soon being felt outside Hamburg's dance scene. Specifically, catching the attention of Parisian label Kitsune, run by Gildas Loaec and Masaya Kuroki. 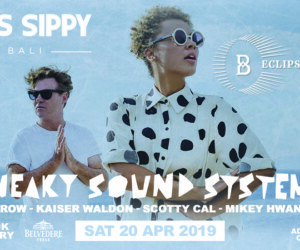 As part of their Australasia Tour, both Jens and Isi will be visiting Bali and perform at MRS SIPPY to celebrate our 2nd Anniversary weekend. 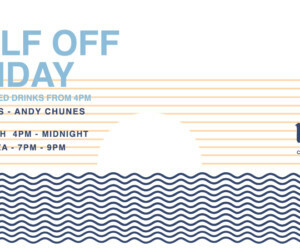 DOOR OPENS AT 10AM – PARTY STARTS AT 12PM Be party prepped arrange a daybed before it’s too late! 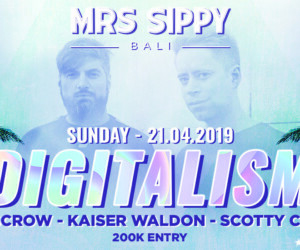 Reserve yours now through: reservations@mrssippybali.com IDR 200K Entry LINE UP: Digitalism https://soundcloud.com/digitalism_official DisCrow https://soundcloud.com/discrow Kaiser Waldon https://soundcloud.com/kaiserwaldon Scotty Cal https://soundcloud.com/djscottycal MRS SIPPY BALI Situated in the heart of Seminyak, boasting the islands largest saltwater pool as well as playing host to house, techno, and disco music talent from all over the globe, all year round. 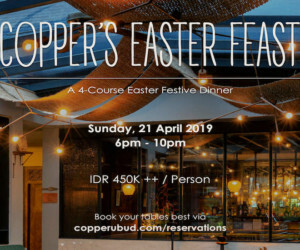 COPPER’S EASTER FEAST 21 Apr	Copper Kitchen & Bar JALAN BISMA, UBUD, BALI, 80571, INDONESIA	Come and celebrate this year\'s Easter at Copper’s rooftop and savor the Chef’s celebratory treat of flavory main dish options of a lamb shank with creamy potato and mint chutney or a seared barramundi with seaweed crumbs and asparagus heavenly served to your table. 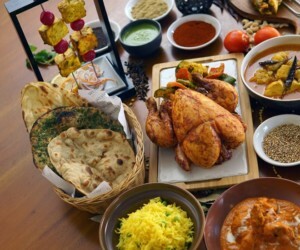 This must be one perfect Easter dinner you don’t want to miss. 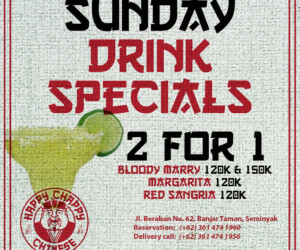 Sunday Brunch 21 Apr	PIzzaria Beach Bar & Restaurant Jalan Danau Tamblingan No. 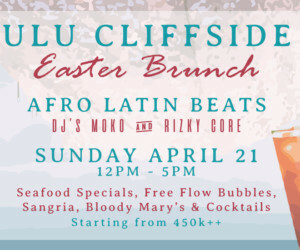 89	Join us for a laid back brunch by the beach this Easter with Italian, international favorites and including Chilli and Pepper Crabs, from 450k ++ for brunch and non-alcoholic drinks. Alcoholic packages available. Coming with your little ones? Kids under 6 y.o. eat for free while kids under 12 y.o. pay half price. 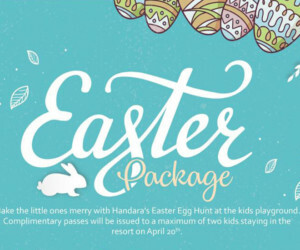 A dedicated kids area and fun easter kids activities available to keep your kids entertained. 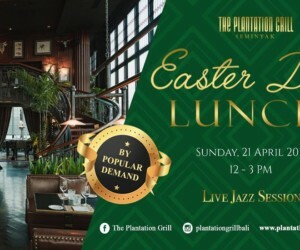 Easter Day Lunch 21 Apr	The Plantation Grill Seminyak The Plantation Grill Seminyak	EASTER DAY LUNCH at The PLANTATION GRILL SEMINYAK SUNDAY, 21 April 2019, 12 PM-3 PM with LIVE JAZZ SESSION serving the Classic A La Carte Menu TRY our new SWEETS Treat your Friends and Family to a Luxurious Easter Lunch Wine, Dine, and Celebrate! 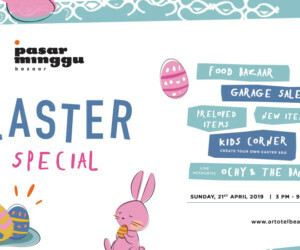 PASAR MINGGU - EASTER SPECIAL 21 Apr	Artotel Beach Club Jl. 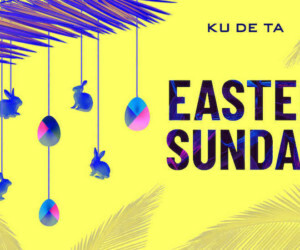 Danau Tamblingan 35 Sanur, Bali, Indonesia	Have yourself a hop-pily ever Easter!🐰 Join us and experience the hippest Sunday Market on the island! 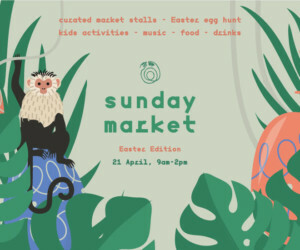 PASAR MINGGU: EASTER SPECIAL Sunday, April 21, 2019 at Artotel Beach Club from 3pm-9pm Includes: > Garage Sale Preloved & New Items > Food Bazaar > Kids Corner (Easter Theme) Create & decorate your own easter egg > Live Music Performance by OCHY AND THE BAND So, what are you waiting for? 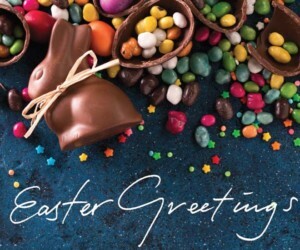 Come bring your friends and family for an Easter Sunday celebration, lots of egg-citement awaiting! Sea you there! 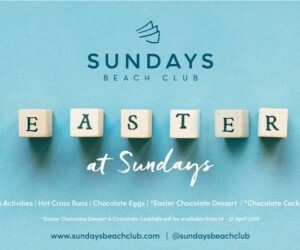 Easter Sunday at The Oberoi Beach and Resort 21 Apr	The Oberoi Beach and Resort, Bali Seminyak Beach, Jalan Kayu Aya	It is our perfect Itinerary of Easter Sunday for you and your family! Start with an Easter egg hunt for your little ones. Join our painting demonstration with Pak Made Muliana, a true Balinese artisan while enjoying Indonesian cakes and tea. 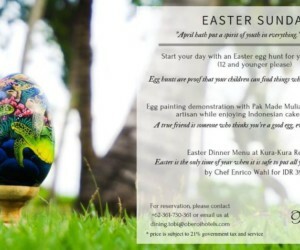 Highlight your evening with a special menu curated by Chef Enrico Wahl for IDR 395 K.
Sunday Market in Ubud this Easter! 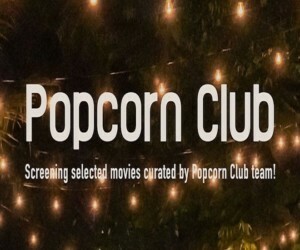 21 Apr	Full Circle, a concpet by Expat. Roasters Jl. Jatayu, Ubud. 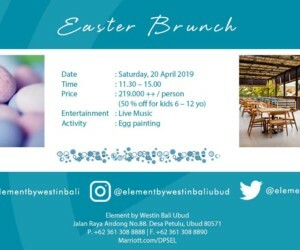 Gianyar	A delightful day-out celebrating the birth of Jesus with a fun-filled activities such as curated eco-market stalls, egg hunting with prizes, egg decoration for kids, food, drinks and music. Make sure you bring cash! UNIQUE Easter Pool Party 21 Apr	UNIQUE Rooftop Bar & Restaurant Jl. 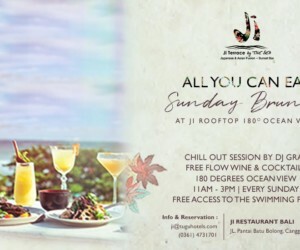 Karang Mas Sejahtera, Jimbaran, Kuta Selatan, Jimbaran, Kuta Sel., Kabupaten Badung, Bali 80364	Celebrate Easter with the resort\'s best rooftop views from UNIQUE\'s infinity edge pool. 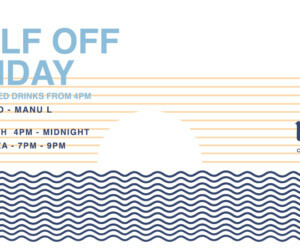 Our chef has curated a very memorable afternoon and sunset experience with fresh Mexican tapas, authentic drink specials and all of your favorite weekend grooves, played for you by our in-house DJ. 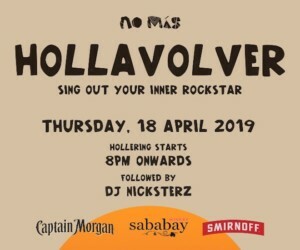 HOLLAVOLVER 18 Apr	- 19 Apr	No Más Bar Jalan Monkey Forest, Ubud, Bali	Sing out your inner rockstar! 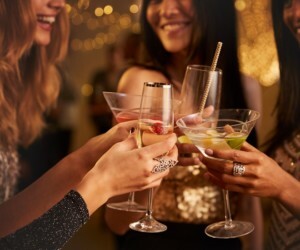 Rock your night out with more than 3.000 songs to choose from at our 2nd storey bar. Show off your singing skills and hit that super high applause meter ! Easter Brunch Cookout 19 Apr	- 21 Apr	FOLK POOL & GARDENS JL MONKEY FOREST, UBUD, BALI. 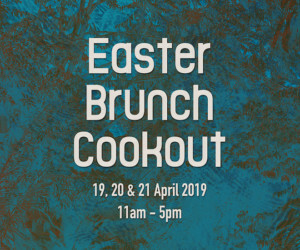 Come out and join us at the pool for the Easter weekend celebration filled with scrumptious cookout meals, delicious poolside drinks, fun activities and prizes for the kids in egg hunting and painting. Sit back and relax at our little oasis, get some sun and enjoy the weekend. HAPPY HUNTING! 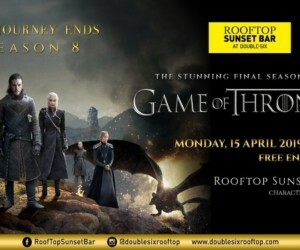 19 Apr	- 21 Apr	BISMA EIGHT HOTEL Jl. 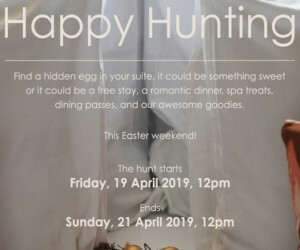 Bisma, Ubud, Bali 80571	This Easter, the golden eggs will once again be hidden nicely throughout the suites. 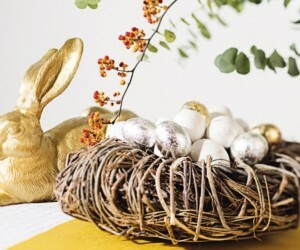 If you are staying with us over Easter holiday find a golden egg in your room, it could be something sweeter than sweets. The hunt starts on Friday, April 19 at 12 pm and ends on Sunday, April 21, 2018 at 12 pm. Let the hunt begin! 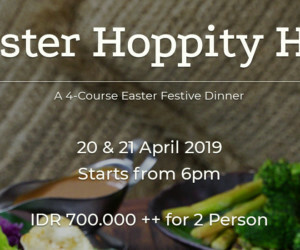 Easter Hoppity Hot 20 Apr	- 21 Apr	Liap Liap Jalan Monkey Forest, Ubud, Bali	If you can stand the heat, then join Liap Liap’s smokin’ hot-hoppity hot Easter weekend dinner celebration ! 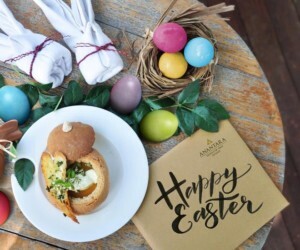 Easter at Anantara Seminyak 20 Apr	- 21 Apr	S.O.S - Sunset on Seminyak and MoonLite Kitchen and Bar Anantara Seminyak Bali Resort (Jalan Abimanyu - Dhyana Pura, Seminyak, Bali 80361)	Anantara Seminyak Bali Resort celebrates scrumptious Easter feast for the weekend. 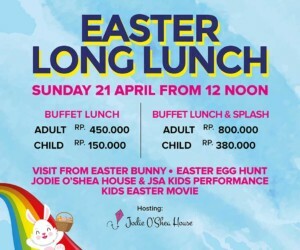 Enjoy an International and Indonesian buffet selection on Easter Eve Brunch by the pool with outdoor activities for little guests. 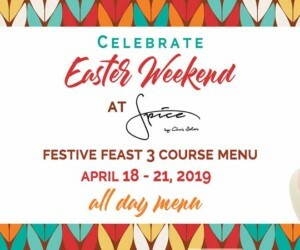 Dine under the stars at MoonLite Kitchen and Bar or indulge at the newly renovated restaurant, S.O.S – Sunset On Seminyak to savour four-course set menu for Easter Eve Dinner and Easter Dinner, prepared by our chefs. 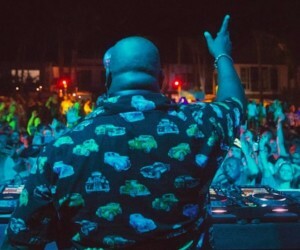 CARL COX & ERICK POWELL\\\'S MOBILE DISCO 19 May	- 20 Mar	Ulu Cliffhouse Jalan Labuan sait, Jl. 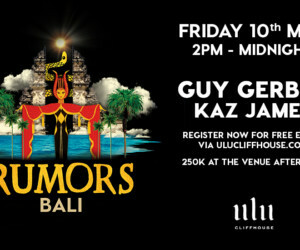 Uluwatu No.315, Pecatu, Kuta Sel., Kabupaten Badung, Bali 80361	ULU CLIFFHOUSE TO HOST CARL COX’S MOBILE DISCO FOR THE SECOND YEAR RUNNING! They’re back! House music legend and king of DJs Carl Cox and Eric Powell’s “Mobile Disco” to play at Ulu Cli¬ffhouse on May 19th. After one hell of a show in 2018, it’s no surprise they’re back! 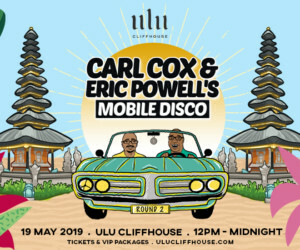 Ulu Cliffhouse is set to welcome the return of Carl Cox and Eric Powell’s mobile disco on Saturday 19th May 2019. 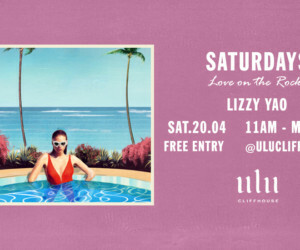 Ulu Cliffhouse is putting on another incredible show, as Carl & Eric go back to back playing a non-stop, 10 hour set against the stunning backdrop of the clifftops in Uluwatu. 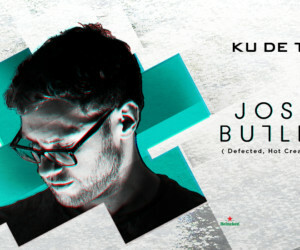 With a capacity of 2,000 people, and some of Bali’s most awe inspiring views, Ulu promises to provide the ultimate space for the king of house to do what he does best! Digging deep through their extensive record collections and picking out their favourite soul, funk and house tracks - disco fans can expect to dance the day and night away to music that has influenced both Carl & Eric over the years. This will be Carl & Eric’s second time playing in Bali, bringing their funk infused ‘Mobile Disco’ exclusively to Ulu Cliffhouse - which has proved to be the perfect spot for their disco lovers, with its picture perfect setting and effortless, intimate vibe. Both Carl & Eric will be entertaining the crowd from the start of the day ‘til the end with, so get ready Bali, Carl & Eric are coming for you! 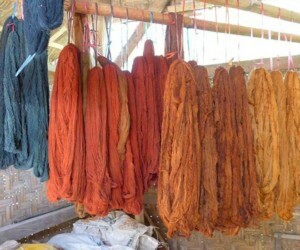 Nature's Colours: Explore Indonesia's natur 22 Apr	- 26 Apr	Umajati Retreat Jalan Subak Uma Petulu Lebah, Ubud	A 7-day workshop exploring Indonesia's natural dye traditions. 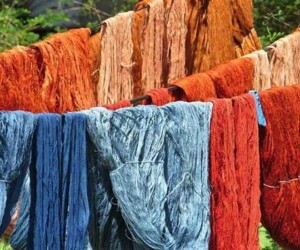 Participants will: - prepare an indigo vat, dye cotton swatches and yarn samples using Indonesia's traditional natural dyes; - learn batik, pressure-resist patterning, and yarn dyeing with natural dyes; and - create a personal natural dye project. Nature's Colours: Explore natural dye 15 Jul	- 19 Jul	Umajati Retreat Jalan Subak Uma Petulu Lebah, Ubud	Over the course of 5 days in the dye studio participants will: - prepare an indigo vat; - dye cotton swatches and yarn samples using Indonesia’s traditional natural dyes; - learn batik, pressure-resist patterning, and yarn dyeing with natural dyes; and - create a personal natural dye project. The Soul of Batik: techniques and philosophy 16 Sep	- 20 Sep	Umajati Retreat Jalan Subak Uma Petulu Lebah, Ubud	5 days studio time exploring natural dyed batik processes and understanding of intangible culture that is at the heart of batik. 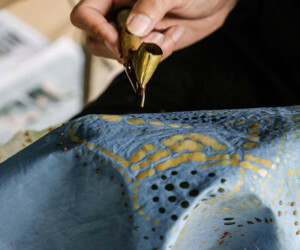 The goals are for participants to initiate or improve technical aspects of their batik skills, enhance their creative process through personal project, gain insight into Indonesia’s traditional natural dye practices. Batik Week: Exploring Batik and Natural Dyes 11 Nov	- 15 Nov	Umajati Retreat Jalan Subak Uma Petulu Lebah, Ubud	5 days studio time offering opportunity to deepen existing batik practice or discover new fibre art form, through vibrant creative experience with other practitioners. 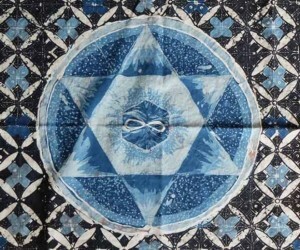 Drawing on Threads of Life’s detailed field research of Indonesia’s ancient natural dye traditions, this workshop explores the interaction between pallet of colours and batik process. 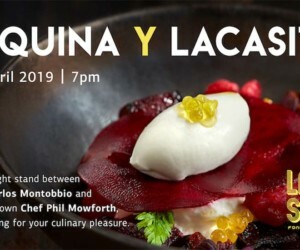 Esquina y Lacasita 26 Apr	Lacasita Fonda Mexicana Jalan Sriwedari, Ubud	Barcelona-born Chef Carlos Montobbio leads Singapore’s Esquina with his artfully crafted contemporary interpretations of Spanish flavors. When he’s hosted at Lacasita, Ubud’s home of muy picante modern Mexican, it will be paraíso for both Mexi-holics and tapas enthusiasts. We strongly suggest spicing up your world with their jalapeño margarita. Supported by Reflections by AQUA. 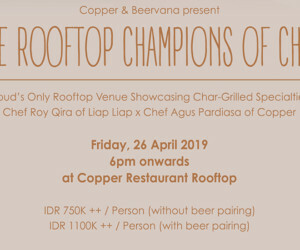 THE ROOFTOP CHAMPIONS OF CHAR 26 Apr	Copper Kitchen & Bar Jl. 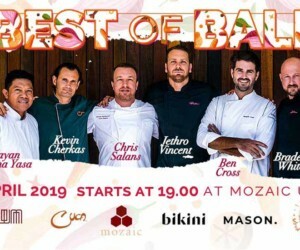 Bisma, Ubud, Bali 80571	Mark your calendar and join us at our lush rooftop for a special event featuring a 6-course char-grilled specialty dinner during the 2019 fifth annual Ubud Food Festival. Bringing together the two Ubud champs, Head Chef Roy Qira of Ubud’s own authentic modern grill, Liap Liap, and Head Chef Agus Pardiasa of Ubud’s earth-to-table fusion, Copper Kitchen, to create one perfect sequence between the mouth-watering and smooth-burnt sensations to delight the palate with each hand-selected number is complemented with the finest craft beer presented by Beervana. 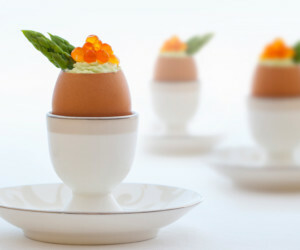 Another substantial step to mark your ‘foodprint’ in one of the world’s best culinary destinations. Spice Up the World 27 Apr	Spice by Chris Salans Jalan Raya Ubud No 23, Ubud	Spice will host its first of a series of “Brem, Arrack & Spice,” event with guest celebrity bartender Imamudin Azai from Arrack & Spice bar in Jakarta and celebrity guest chef Ben Ungermann, runner up Master chef Australia. 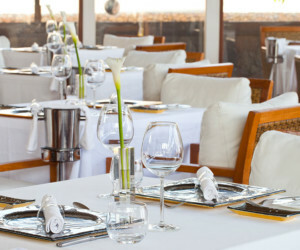 Both guys will take over Spice for dinner, doing a 4-course menu with cocktail pairing. Kalimantan Dinner 11 May	Som Chai Jl. 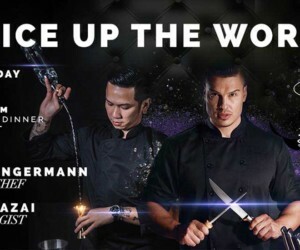 Raya Kerobokan No.86A, Bali	Leading Bali-based chefs Will Meyrick and Kevin Cherkas have partnered for the ultimate Indonesian feast in ode to Kalimantan cuisine. 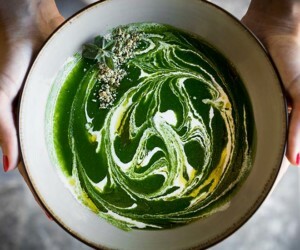 Guests can expect a jungle-inspired soiree full of sensorial surprises, the premiere of a short documentary and their behind-the-scenes kitchen sessions to jointly create the dishes for this event. Cleanse & Detox - One Day Circuit 06 Mar	- 31 May	REVĪVŌ Wellness Resorts Jl. Desa Sawangan, Kelurahan Benoa, Kec. Kuta Selatan, Badung - Bali Indonesia	Spend a day learning about healthy and effective ways to cleanse and detox your body. Feel better while practising aqua and aerial yoga, boost your energy with a detox lunch and enjoy unlimited access to hydro pools & facilities. Indonesian Lunch & Dinner 11 Apr	- 31 Dec	Omang Omang Jalan Danau Tamblingan No. 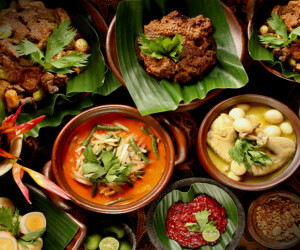 89	Hands up if you love Indonesian food! 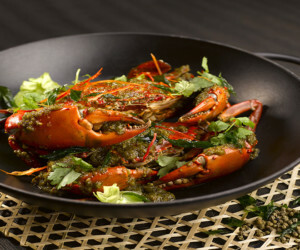 Starting from this week we serve Indonesian family style lunch and dinner at Omang Omang. 380k ++ for two and 190k ++ for additional person (min. 2 persons). Happy Hour at Pizzaria Beach Bar & Restaurant 11 Apr	- 31 Dec	PIzzaria Beach Bar & Restaurant Jalan Danau Tamblingan No. 89	When the sun sets in Seminyak, the moon rises in Sanur. 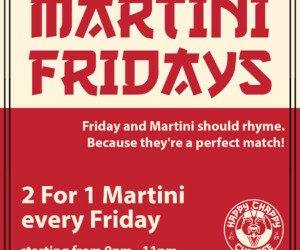 Happy Hour at Pizzaria! Daily at our beachfront bar from 5 to 7 PM 🍸🍻 100K NET cocktails, house pour mix drinks and bucket of beers! 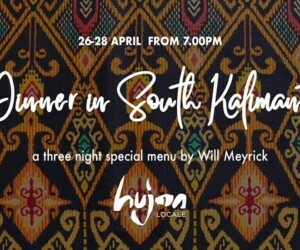 A Dinner In Kalimantan by Will Meyrick 26 Apr	- 28 Apr	Hujan Locale Jl. Sri Wedari No.5, Ubud, Kabupaten Gianyar, Bali 80571	Get a taste of South Kalimantan right here at Hujan Locale. 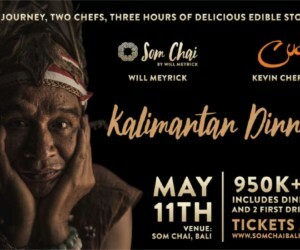 Guests will experience an exclusive A La Carte Menu created by Will Meyrick and inspired by his recent trip to South Kalimantan. 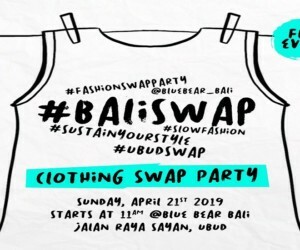 CHASE THE ACE 04 Apr	- 29 Apr	BGS ULUWATU Jl Raya Uluwatu 77x	Each beer/cocktail you buy gets you a ticket for a chance to win cash and prizes on Thursday night at BGS Bali! 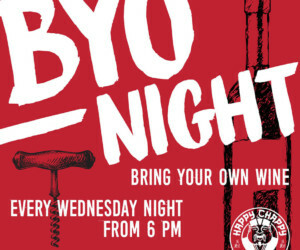 SanMiguel on tap for 20K, and Komang behind the bar! Weekly winners get a chance to pull from the deck for their chance to pull the Ace of Spades and win the jackpot! 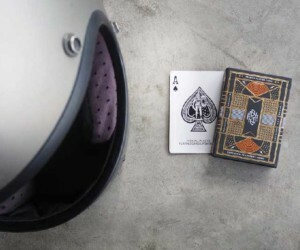 Every card pulled from the deck betters the odds for next week. 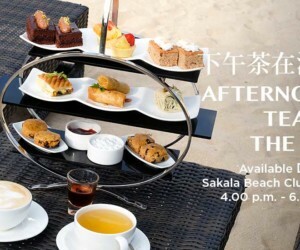 AFTERNOON TEA BY THE SEA AT SAKALA BEACH CLUB 10 Apr	- 22 Dec	Sakala Beach Club - The Sakala Resort Bali Jl. 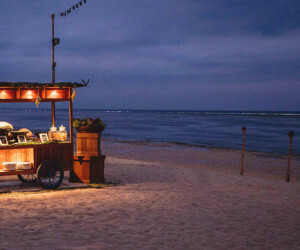 Pratama No.95, Benoa, Kuta Sel., Kabupaten Badung, Bali 80363	Treat those you love to an afternoon tea in Sakala Beach Club. 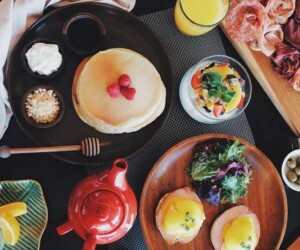 Our afternoon tea is presented with 9 delicious assortments from finger sandwiches, a selection of pastries and a choice of dessert including freshly baked scones as well as fresh mountain strawberries from Bedugul, accompanied by your chic tea or coffee. 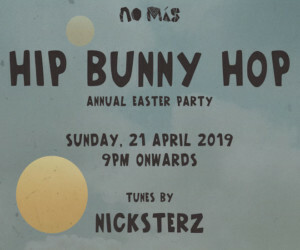 Hip Bunny Hop 21 Apr	- 22 Apr	No Más Bar Jalan Monkey Forest, Ubud, Bali	Fun Easter Party by No Más Join No Más crew for one fun night out in town, this Easter, they go Hip Bunny Hop on the 2nd floor and dance out the hottest tracks by Dj Nickterz all night! 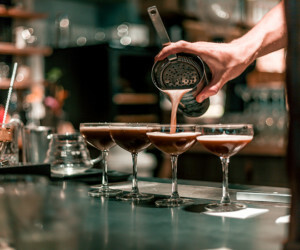 Sip some of the crew's delicious cocktails between moves, they start at 9 pm sharp! METIS WAREHOUSE SPECIAL SALES 01 Apr	- 22 Apr	METIS WAREHOUSE jalan teuku umar barat n 987, Kerobokan kelod – kuta utara, badung (Bali)	Would you like to get up to 70% discount on our beautiful collection of rare antiques and artifacts??? Metis warehouse for the first time even open temporarily until April 22nd! Visit us!!!!!! you may find a perfect addition to your home!!! AIA GLOW FESTIVAL 25 May	Palawan Green, Sentosa ‐ Siloso Beach Walk, Sentosa - SINGAPORE Palawan Green, Sentosa ‐ Siloso Beach Walk, Sentosa	A brand new feel-good event is launching in Singapore: AIA Glow Festival is set to be the world’s most energising wellness and music concept, and Honeycombers readers get 10% discount with an exclusive promo code! It’s all happening at Palawan Green at Sentosa with a full day of fitness and wellness activities, kid-friendly fun for the fams, great food and live music. Kick things off with a 5K run for good as AIA will donate $10 for every runner who completes the route. Glowgetters will also enjoy invigorating yoga flow sessions led by world-class yogis such as Marysia Do and more than 30 other yoga classes specially curated by Pure Yoga. As the sun sets, AIA Glow Festival will transform into a music festival featuring the hottest international artists including Lost Frequencies and Rudimental and some of the biggest local acts in the city such as The Sam Willows. And all throughout the day, Glow Festival will have a fantastic marketplace where you can feast and browse goodies that bring on the good vibes. Want in? Use the promo code GLOWxHONEYCOMBERS when you book your tickets to AIA Glow Festival to enjoy 10% off the ticket price! REVĪVŌ Wellness Resort - Yoga Family Retrea 14 Apr	- 20 Apr	REVĪVŌ Wellness Resort, Bali Jl. Desa Sawangan, Kelurahan Benoa, Kec. Kuta Selatan, Badung - Bali, Indonesia	This exclusive retreat will introduce children to a healthier lifestyle by cultivating their interest for yoga. They will be encouraged to use their imagination, exercise their mind and strengthen their breath while learning techniques for relaxation, self-control, and stress-release. Spend quality time practicing yoga together as a family for a special bonding experience and enjoy a range of holistic treatments for your body and mind. <p style="font-weight: 400"><strong>About our <a href="http://www.revivoresorts.com/">resort</a>:</strong></p> Nestled amidst the breezy hills of Nusa Dua in south Bali, REVĪVŌ Wellness Resort is spread across 3 hectares of teak tree forest, surrounded by dense tropical rainforest and the Indian ocean. 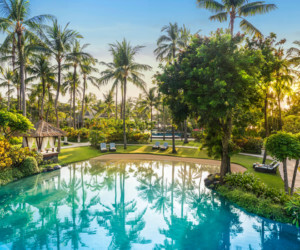 Meaning “I’ll live again”, REVĪVŌ’s lush enclave is comprised of 16 Balinese-style luxury suites and villas, a nutritious gourmet restaurant, a bar and a pool lounge, as well as best-in-class fitness and spa facilities. The resort aims to “soothe the spirit, rejuvenate the body and enrich the mind” through a complete mind journey composed of a blend of relaxation activities, spa and holistic medicine treatments and a personal food diet based on each customer’s nutritional needs. <strong>About our Wellness Retreats:</strong> The resort offers a range of programs focused on holistic treatments for the mind, body, and spirit. REVĪVŌ’s wellness retreats aspire to achieve any notions of “healing”, mind training and self-awareness, rather than treating guests for specific illnesses or injuries. Each retreat can be tailor-made to suit wellness needs in terms of nutrition, holistic treatments and workouts. The programs are selected on the basis of individual goals such as emotional balance, detox, organic weight loss, healthy sleep habits, with additional options for stress relief and expectant mothers. 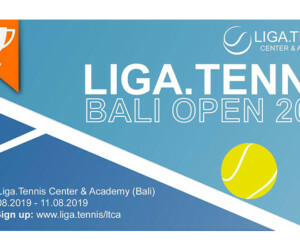 Liga.Tennis Bali Open 2019 03 Aug	- 11 Aug	Liga.Tennis Center & Academy Jl. Bumbak Dauh, Umalas, Bali 80361, Indonesia	Welcome to our inaugural tournament - Liga.Tennis Open 2019 which will be held from August, 03rd-11th in Bali. Our event is open for all levels of competitive players, with various categories to accommodate players from club to international level. We are on track to attract more than 300 players to join including confirmed groups from various countries. All matches will be streamed on Youtube and the Liga.Tennis app and we anticipate a large audience to attend big matches. Like an ATP or WTA tournament, we will be holding on-court interviews for selected matches! 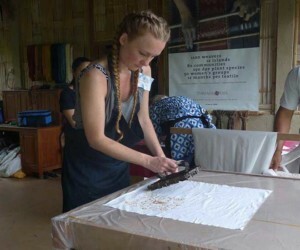 Batik Week: Exploring Batik and Natural Dyes 17 Jun	- 21 Jun	Umajati Retreat Jalan Subak Uma Petulu Lebah, Ubud	This 5-day studio workshop offers the opportunity to deepen any existing batik practice, or to discover new fibre art forms, through vibrant creative experiences with other practitioners. 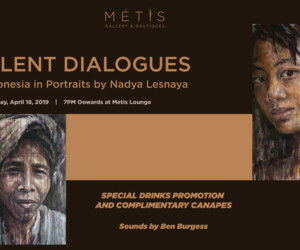 Drawing on Threads of Life’s detailed field research of Indonesia’s ancient natural dyeing traditions, this workshop explores the interaction between palette of colours and the intricacy of batik. Weaving Week : Ikat & backstrap loom workshop 19 Aug	- 23 Aug	Umajati Retreat Jalan Subak Uma Petulu Lebah, Ubud	During 5 days studio time, make a small, weft ikat patterned, natural dye cloth using a traditional backstrap loom that has been modified to accommodate sitting in a chair rather than on the floor. 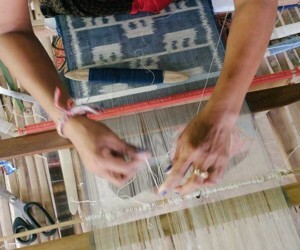 Weft ikat is employed so that dyeing and loom preparation can be learned in parallel. Original Colours: Exploring natural dye 20 Oct	- 22 Oct	Umajati Retreat Jalan Subak Uma Petulu Lebah, Ubud	During 3 days of studio time immediately prior to the Ubud Writers and Readers Festival, explore the traditional art of batik and the use of indigenous dyes of the Indonesian archipelago though hands-on exercises and a personal creative project. 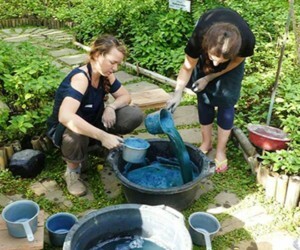 All About Indigo : 5 days of farm to fabric 09 Dec	- 13 Dec	Umajati Retreat Jalan Subak Uma Petulu Lebah, Ubud	A 5-days workshop of farm-to-fabric studio practice with fermentation and sugar indigo vats. 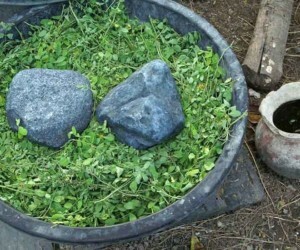 Experience entire natural indigo process from harvesting the indigo to exploring the making and drying of leaf balls; followed by dye process while learning proper scouring (fibre preparation) and finishing (wash) techniques.